On March 31, 2019 an unfortunate situation took place that caused us to lose a valued mogul in our community. 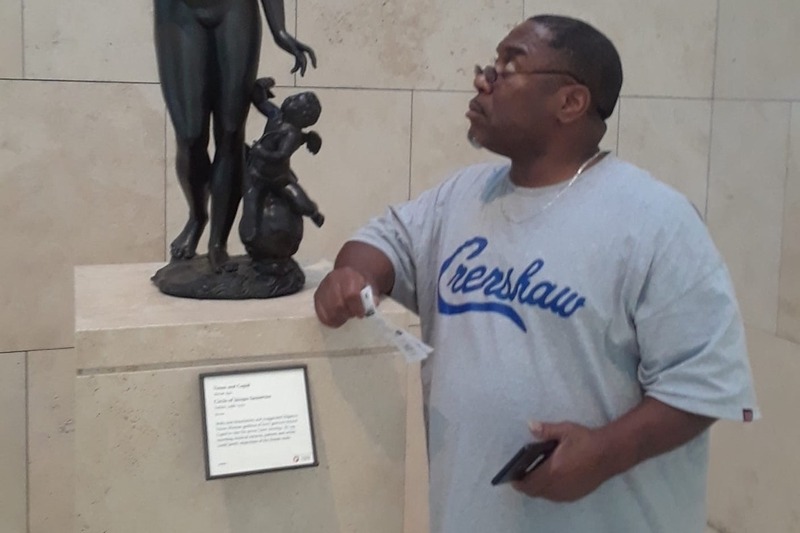 To add extra pain to this already heart breaking time we have now become aware that Kerry Lathan (age 56) aka "Cousin Kerry" has had his parole violated after being shot and wheelchair bound during the tragic murder of Nipsey Hussle. Cousin Kerry has been home from a 25 year prison stay for only 7 months and was stopping by The Marathon Clothing store to purchase a shirt to go visit a friend who had just lost their father. When the gun fire began Cousin Kerry was shot in the back and taken to the hospital. He was arrested and charged with violating his parole by associating with Nipsey a "gang member". Cousin Kerry could now face 10 years to life for said "violation". We have retained Attorney Lauren Noriega for representation. At this time as a community we would like to assist Cousin Kerry in not only any medical bills that may be pending but we would also like to set aside monies for Cousin Kerry to have once he is released from custody. We believe that Cousin Kerry should have his freedom returned to him and his family immediately. We will not only Support and help to Free Cousin Kerry but we would like to aid him in getting off to a Greater start with his new lease on Life!